Vivo X27 and X27 Pro have been unveiled in China. 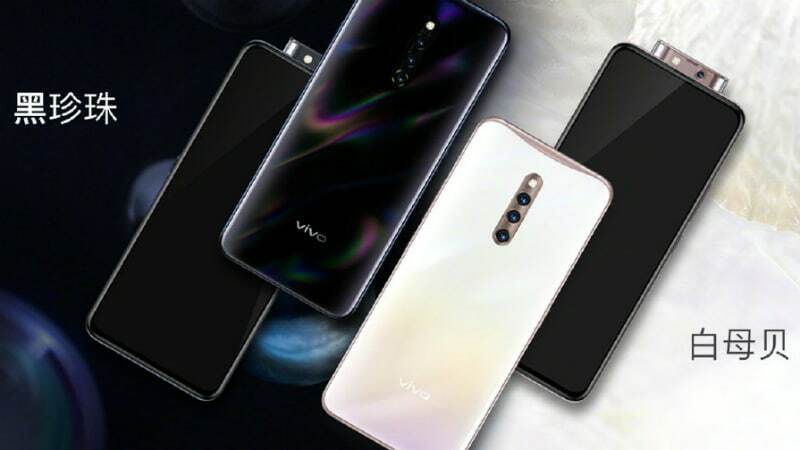 The new Vivo phones come with pop-up selfie camera setup and run Android Pie-based Funtouch OS 9 out-of-the-box. The Vivo X27 sports a 16-megapixel selfie camera along with a wide-angle lens, whereas the Vivo X27 Pro comes with a 32-megapixel selfie camera that is equipped with a soft LED flash. There is also an in-display fingerprint sensor on the Vivo X27 Pro. Part of the company's mid-range portfolio, both smartphones also flaunt a triple rear camera setup that is joined by an LED flash. The Vivo X27 price in China has been set at CNY 3,198 (roughly Rs. 32,900) for the 8GB RAM/ 128GB storage model, while its 8GB RAM/ 256GB storage variant is priced at CNY 3,598 (roughly Rs. 37,000). The phone will go on sale in the Chinese market from March 23. In contrast, the Vivo X27 Pro price has been set at CNY 3,998 (roughly Rs. 41,100) for the lone 8GB RAM/ 256GB storage model. The India price and availability details of the Vivo X27 and Vivo X27 Pro are yet to be revealed. The dual-SIM Vivo X27 runs Android 9.0 Pie with Funtouch OS 9 on top and features a 6.39-inch full-HD+ (1080x2340 pixels) display along with a 19.5:9 aspect ratio. Under the hood, the handset is powered by a hexa-core Qualcomm Snapdragon 710 SoC, paired with 8GB of RAM. The 128GB storage variant of the Vivo X27, however, has a Snapdragon 675 SoC. For photos and videos, the Vivo X27 has a triple rear camera setup that comprises a 48-megapixel Sony IMX586 primary sensor, 13-megapixel secondary sensor along with a wide-angle lens, and a 5-megapixel tertiary, depth sensor. There is a pop-up selfie camera module that includes a 16-megapixel sensor. The phone comes preloaded with artificial intelligence (AI) backed features to enhance images. As we mentioned, the Vivo X27 has 128GB and 256GB of onboard storage options. Connectivity options include 4G LTE, Wi-Fi, Bluetooth, GPS/ A-GPS, and USB. Besides, the phone packs a 4,000mAh battery. The 256GB storage variant of the Vivo X27 also supports Vivo FlashCharge fast charging technology. The Vivo X27 Pro, on the other hand, features a 6.7-inch display along with a 20.5:9 aspect ratio and is powered by an octa-core Snapdragon 710 SoC, paired with 8GB of RAM. Similar to the X27, Vivo has provided a triple camera setup on the back of the X27 Pro that includes a 48-megapixel Sony IMX586 sensor. There is also a 32-megapixel sensor at the front. The Vivo X27 Pro comes with 256GB of inbuilt storage. Connectivity options include 4G LTE, Wi-Fi, Bluetooth, GPS/ A-GPS, NFC, and USB. The phone also comes with an in-display fingerprint sensor. Besides, it packs a 4,000mAh battery.